Thinking about roof replacement strategies can be a confusing and daunting idea for most homeowners. In majority of the cases a full re-roof replacement is the advice from the roofing contractors in Hamilton. The only situation where a homeowner might want to install new shingles over top of old is if they don’t plan to be owning the property very long and will be long gone by the time the roof needs done, although it is not the most neighbourly decision to leave it for the next person. The expert roofing contractors in Hamilton will consider several factors before deciding what an ideal installation is for your job. The age and the overall quality of the roof are a few of the factors they can consider. When considering re-roofing, putting new shingles on top of the old ones is one of the worst ideas, and is not a technique used by qualified roofing contractors, as better higher qaulity techniques can be implemented. Shingles need to be placed over flat surface and putting the new shingles forcefully over the old ones will result in shingles cracking and breaking earlier than otherwise. The uneven surface also makes it difficult to secure the shingles. These issues express themselves later. Another reason that makes it impossible to properly secure the shingles appropriately is the thickness due to the double layer of shingles. The 1 ¼” nails are not enough to securely hold the shingles the same way they can when the old shingles have been torn off first. Because of old shingles the roofing contractors are not capable of conducting proper inspections of the roof beneath. This prevents proper re-roofing in Hamilton, and potentially damaged plywood of the deck cannot be properly repaired. Without having a clear picture of the foundation a sincere roofing contractor will not give the green signal to proceed. Proceeding without proper inspection can lead to expensive repairs later on. Overlaying instead of replacing is costlier in the long run as it will result in more expensive repairs and furthermore whenever you plan to make changes in the future it will definitely cost you a lot more. Having two layers of shingles on the roof is actually very impractical as the double weight puts a lot of strain on the roof. And the snow from the winter adds extra weight resulting in a hazardous situation. 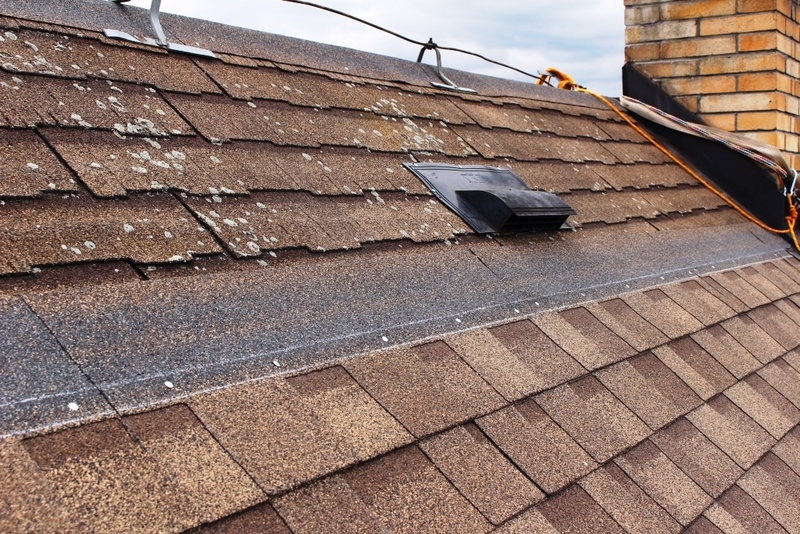 Additionally, during the summer time the two layers of shingles trap the heat making the already hot summers even hotter. The extra asphalt also contributes to the added weight and increase in the heat inside the house. This also results in you paying more in energy bills due the inefficiency. Along with these issues the value of your house is also reduced. Putting new shingles over the old ones is a bad bargain and will only bring you more trouble than solved issues. That’s definitely a terrible idea, and the funny thing is, aa a roofer myself, I’ve seen it done! Crazy isn’t it??? I’ve never had a single homeowner ask me to go over top of their old shingles once I’ve properly articulated the potentially devastating consequences the could incur by not having the job done properly!